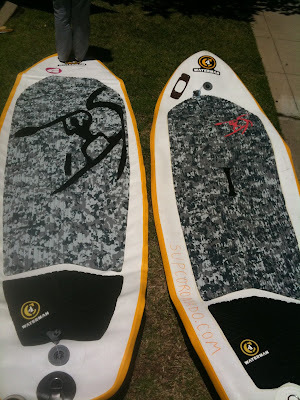 Stand Up Paddle Surfing: The incredible, inflato-matic stand up board... fun and funky! The incredible, inflato-matic stand up board... fun and funky! 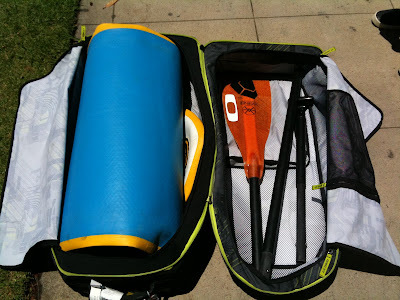 Vicki's got the traveling inflato thing all figured out. Here's one of her set ups with the board rolled up and the the pump and three piece paddle nested into the opposite side of the rolling bag. 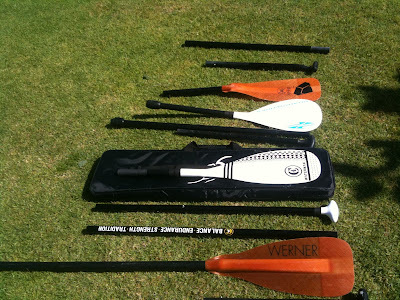 Vicki's paddle quiver- specially selected for traveling with the inflato- Vicki's building a rental fleet of boards and paddles for people on the go desperate to bring a stand up board with them. Great idea! Not pumped up... but ready to rock and roll!